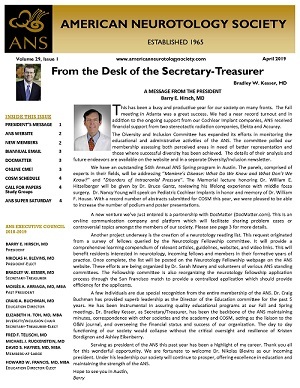 The Nicholas Torok Vestibular Award, established under the aegis of the ANS instituting a yearly lecture, is presented at the Annual Scientific Spring Meeting of the Society. The final manuscript must be presented electronically in the publication format recommended by Otology & Neurotology, the official journal of the ANS, 4 weeks before meeting. The candidate shall be selected preferably from the membership of the Society of upon specific merit of any M.D. or Ph.D. The President and Executive Council of the ANS shall judge the yearly application. A yearly award of $1,500 will be given for the selected manuscript. The author will be expected to attend the Annual ANS Spring Meeting and present the paper in person. The abstract must be selected for ORAL presentation to be considered. Please include cover letter/intent to apply for award at the time of abstract submission.